If you’ve been diagnosed with (or at risk for developing atrial fibrillation), having peace of mind that you are in sinus rhythm is key to ensuring your continued health and happiness. AfibAlert® is the only stand alone heart rhythm monitor that is FDA-cleared with built in AFib detection, and here’s why it’s right for you! If you have been diagnosed with AFib (or are at risk) and want the ability to monitor the effectiveness of your heart rhythm treatment plans and medications. If you have had a medical procedure, such as an ablation, and would like to know you are staying in sinus rhythm and not having recurrence. If access to your doctor or hospital is not easy where self-monitoring instead of expensive and stressful visits to an emergency room is desirable. You want the ability to record, save, and access medical-grade ECG results from anywhere, at any time to enhance your ability to effectively track and communicate your heart health to your physician. You just want peace of mind by being able to quickly and accurately know if your in or not in AFib. Note: even if atrial fibrillation isn’t detected with the AfibAlert® and you still aren’t feeling well, we strongly recommend that you seek immediate medical attention. You haven’t been able to successfully diagnose your patients’ arrhythmias with Holters or Loop Recorders. You want to perform routine ECG checks in an easy and much more cost effective means during office visits. 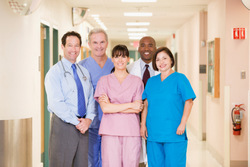 You want to follow your patients to ensure patient safety post procedure or medication change. 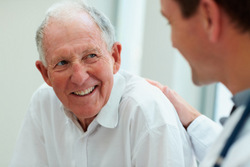 You have patients that have difficulty with the sticky leads associated with traditional Holters and Loop Recorders. You have remote patients where it isn’t feasible (time and cost) for them to visit your office and you need high quality ECG data to properly manage their health. You don’t have the time or resources to wait while a patient gets a holter or event recorder prescribed to take back home. You are frustrated with the low quality rhythm strips and misdiagnosis resulting from patients using consumer heart rhythm monitors. 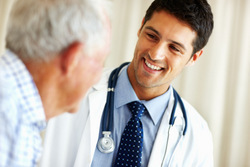 See what other physicians are saying about their experience! Your organization is looking for low-cost, easy to use and accurate AFib and heart rhythm monitoring to reduce readmissions. You serve cardiac patients in a broad geographic area and need ways to monitor them after discharge that is timely, accurate and economical. You implemented remote cardiac monitoring for your chronically ill patient population and need an event recorder that is easy for those patients to use in their home. Your organization has home health or clinical staff that need a cost-effective means for AFib detection and the ability to capture medical-grade quality ECGs in the field, in the office, or anywhere. Your organization is implementing a population health management strategy for those at risk of or suffering from chronic cardiovascular disease. You are launching wellness screenings that include early detection of Atrial Fibrillation or other arrhythmias. See how others are using the AfibAlert® heart monitor!